Our dedicated team of veterinarians, technicians, rehabilitation specialists and support staff offers extensive experience and expertise. They provide dedicated care and deliver the latest in advanced veterinary medicine to help return your horse to health and soundness. A native of Ann Arbor, Michigan, Dr. Rick obtained his undergraduate degree at Montana State University, continuing on to Washington State University for his veterinary education. Following his doctorate degree, he completed the Surgical Intern/Residency Program at the University of California at Davis where he met his wife, Kathy. Together they moved to the Santa Ynez Valley and have been an integral part of Alamo Pintado Equine Medical Center from its earliest years. Dr. Rick and Kathy live in the small town of Ballard where they have raised two sons, Jonathan and Carson. Originally from Pasadena, California, Dr. Judy attended the University of California at San Diego for his undergraduate work in Animal Physiology and Neurosciences. He then attended the School of Veterinary Medicine at the University of California at Davis. After achieving his veterinary degree, he completed an internship in large animal medicine and surgery at Texas A&M University and a residency in equine surgery and performance evaluation at UC Davis. Having successfully completed the strenuous board accreditation process, Dr. Judy is a Diplomate of the American College of Veterinary Surgeons. Dr. Judy is an internationally celebrated equine surgeon and valued member of the veterinary team at Alamo Pintado. He resides in the town of Ballard with his family. Born and raised in Los Olivos, California, Troy obtained his undergraduate degree in Animal Science and Agricultural Business from Cal Poly San Luis Obispo. He then earned his Doctorate in Veterinary Medicine at Oklahoma State College of Veterinary Medicine. Following graduation, Dr. Herthel completed a year-long internship at Weatherford Equine Medical Center in Weatherford, Texas, focusing primarily on lameness, surgery and reproduction in western performance horses. Dr. Herthel returned to Alamo Pintado, where he completed a surgical residency program and became certified as a Diplomate of the American College of Veterinary Surgeons. He is the youngest son of Alamo Pintado founders, Dr. Doug and Mrs. Sue Herthel. Dr. Troy Herthel lives in Los Olivos with his wife, Jacie, and daughter, Crosby. Born in Yerington, Nevada, Dr. Hamer attended the University of Nevada at Reno, where he earned his undergraduate degree. He completed his Doctorate in Veterinary Medicine at The Ohio State University, coming to Alamo Pintado Equine Medical Center as an intern the following year. Dr. Hamer has remained as a staff veterinarian since then, settling in the town of Los Olivos with his wife Tina, daughters Hayley and Kassidy and son Hayden. 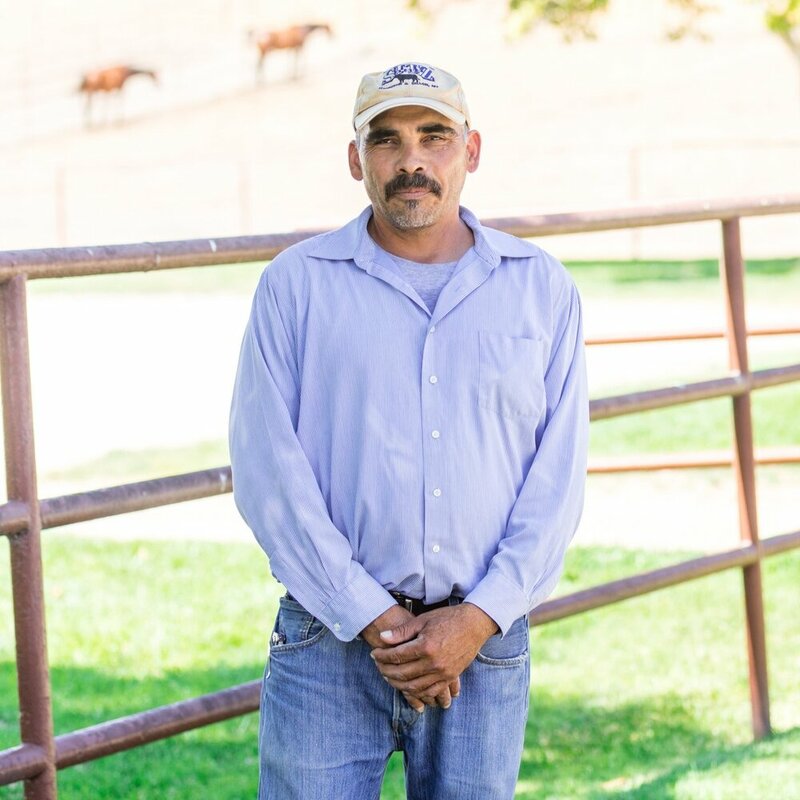 Along with treating patients on clinic grounds, Dr. Hamer provides excellent ambulatory veterinary care to the farms and ranches throughout the Santa Ynez Valley, as well as expertise in reproduction and fertility. 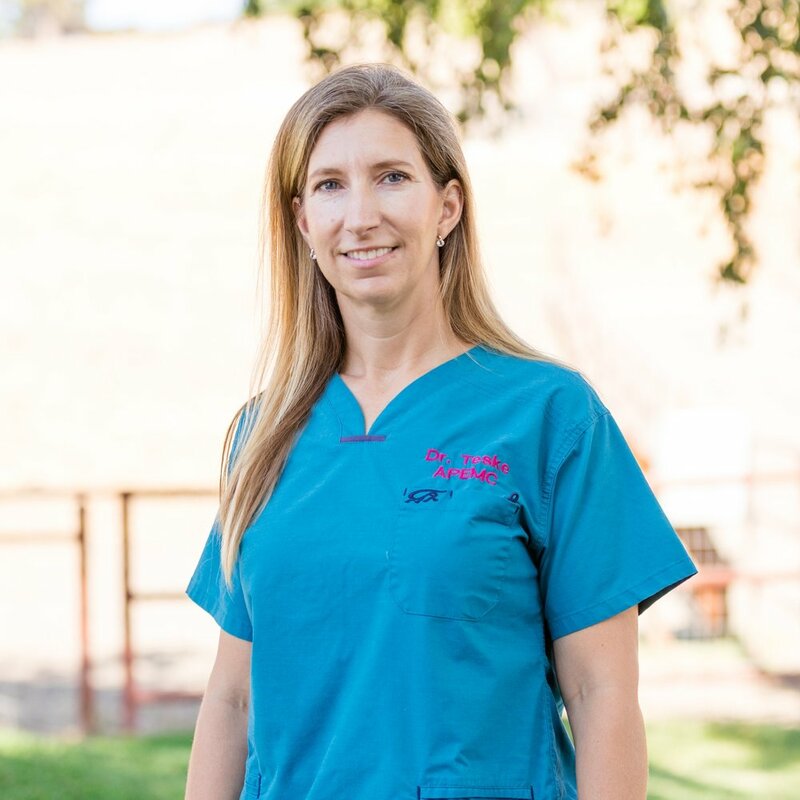 From her hometown of Sunol, CA, Dr. Byrne moved to Davis to complete her undergraduate degree at the University of California, where she continued on to achieve her DVM degree four years later. Following her veterinary education, she moved to College Station, Texas, to participate in the internship program at Texas A&M University, where she remained as a resident in large animal internal medicine. After successfully completing the strenuous board accreditation process, Dr. Byrne became a Diplomate of the American College of Veterinary Internal Medicine, and brings her expertise in internal medicine to the patients of Alamo Pintado Equine. Born in Washington, DC, Dr. Parks moved to California to attend the University of California at Santa Cruz. Upon completion of his undergraduate degree, he went on to The Ohio State University for his Doctorate in Veterinary Medicine. Dr. Parks participated in the internship program at Alamo Pintado Equine Medical Center in 1988 and has stayed as a staff veterinarian ever since. Dr. Parks has significant expertise in equine reproduction and fertility, and spends significant time in the field, providing veterinary services to clients in the Santa Ynez Valley and throughout California's Central Coast. He now lives in the town of Los Olivos with his wife and two children. Born in Omaha, Nebraska, Dr. Teske moved to Fort Collins to attend Colorado State University as an undergraduate student in agricultural business. After completing her degree, she remained at CSU to participate in the veterinary program. 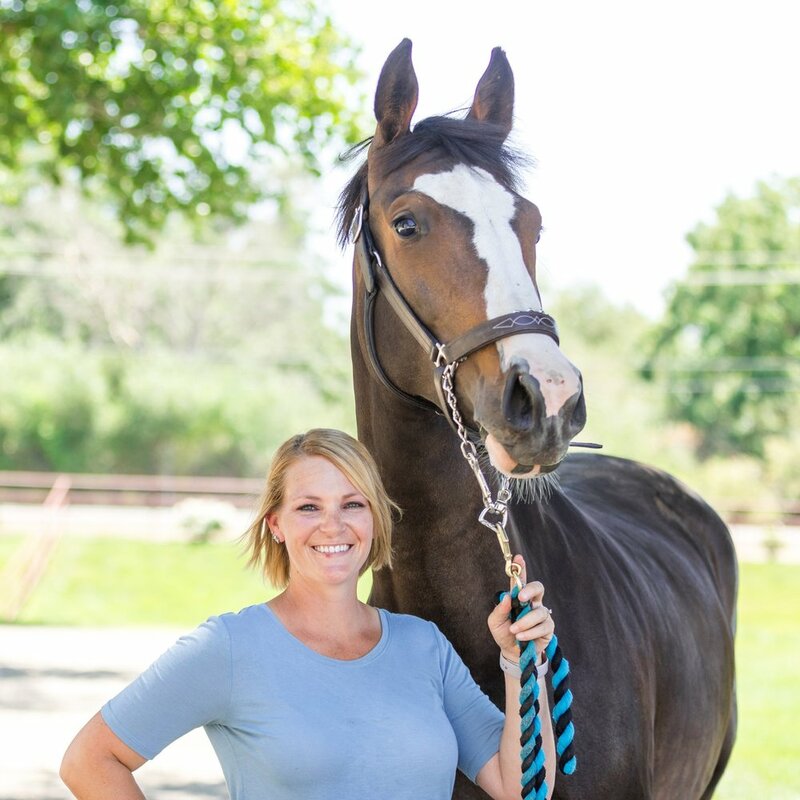 Accomplishing her Doctorate in Veterinary Medicine, Dr. Teske then moved to Alamo Pintado Equine Medical Center where she took part in the internship program. Today, Dr. Teske remains a permanent staff veterinarian, providing ambulatory field services, as well as an expertise in equine acupuncture. Dr. Teske is an accomplished dressage rider. Dr. Stevenson is originally from the Central Coast of California, and was inspired to pursue veterinary medicine after watching and working with his father, and equine veterinarian. He completed his undergraduate degree at Cal Poly, San Luis Obispo and went on to earn a Doctorate of Veterinary Medicine from the University of California at Davis, where he was recognized by the faculty for his work in the equine clinic and also for his excellence in large animal surgery. Dr. Stevenson then completed an internship at Brock Veterinary Clinic in West Texas, followed by a year under the tutelage of Dr. Joe Carter at Oklahoma Equine, focused on lameness and sports medicine. In his spare time Dr. Stevenson enjoys riding, fly fishing and playing the guitar. Wade is a 3rd generation veterinarian from La Canada Flintridge, California. He achieved both his undergraduate degree in Biological Sciences and his Doctorate in Veterinary Medicine at Colorado State University. During this time he was employed as a research assistant at the Equine Orthopaedic Research Center. Dr. Walker completed an Internship at Arizona Equine Medical and Surgical Centre followed by a Large Animal Surgery Residency at Cornell University. Wade gained further experience as a staff surgeon at both San Luis Rey Equine Hospital in Bonsall, California and Chaparral Veterinary Medical Center in Cave Creek, AZ prior to joining the team at Alamo Pintado. Born and raised in Bogota, Colombia, Carolina grew up riding jumpers and dressage horses. She went on to earn her Veterinary degree at La Salle University in Colombia and pursue her interest in equine internal medicine and ophthalmology. A former Alamo Pintado Equine intern, Carolina has returned to serve our patients after earning her master's degree and completing her residency. With a special interest in teaching, she looks forward to mentoring interns and externs at Alamo Pintado and to providing clients with thoughtful continuing education. In her spare time Carolina enjoys any outdoor sport, especially cycling and hiking with the company of her beloved miniature American Shepherd, Feliz. Dr. Bassett was born and raised in Lamesa, West Texas with a passion for veterinary medicine that began at a young age while working with her father, equine veterinarian, Bo Brock. Abbi graduated from Lubbock Christian University, where she assisted her father’s veterinary practice during the summers. She then went on to veterinary school at Texas A&M University and was involved in the Student Chapter of the American Association of Equine Practitioners. Abbi’s primary interests are surgery, lameness, and imaging. In the future she plans to complete a surgical residency and return to Lamesa, TX, to join her father’s practice. When she isn’t at the clinic Abbi enjoys running, reading, and spending time with her husband, Zach and her family. Dr. Searls was born and raised in Iowa City, Iowa. Her interest in horses was fostered at a very young age, and she continued to develop that passion through showing hunter/jumpers, with working student positions and riding along with local veterinarians. Dr. Searls attended the University of Massachusetts, Amherst, where she completed an undergraduate degree in Pre-Veterinary Studies. Prior to attending veterinary school, Kari worked with small and large animals at Tufts University Veterinary School in Diagnostic Imaging. Kari attended Veterinary School at Iowa State University and has a strong interest in upper airway disease, lameness, sports medicine and diagnostic imaging. In her free time, Kari enjoys riding horses, hiking, reading, spending valuable moments with friends and family, and participating in CrossFit classes. Dr. Bell grew up in a small rural dairy region on the northeast coast of Australia. Her interest in veterinary science started in her teenage years when her own horse underwent surgery at the local veterinary hospital. Dr. Bell completed her veterinary degree at James Cook University, in Townsville, Queensland. She continued her work at a local veterinary hospital as well as undertaking placements and externships both locally and internationally. Dr. Bell worked as a mixed practice veterinarian in Australia for six months before starting at Alamo Pintado. Her main areas of interest include internal medicine, clinical pathology and diagnostic imaging. In her time off Jillian enjoys hiking, playing team sports and being outdoors. Sophie Talbot was born in the United Kingdom but grew up in Sydney, Australia. From the time she was a little girl Sophie was drawn to animals. She loved riding horses and was also devoted to her cats and dogs. Naturally Sophie’s passion for animals led her to want to be a veterinarian. She earned her Doctor of Veterinary Science degree at the University of Sydney. Sophie is passionate about all aspects of being an equine veterinarian, but holds a special fondness for medicine cases. When she is not working with horses, Sophie loves music, travel, cooking, running and skiing. Babette Van Bree was born and raised in a small town in Belgium. She has been crazy about animals since she was a little girl and knew she would be a veterinarian one day. She received her Bachelor’s degree in Veterinary Medicine at Antwerp University with distinction. During her Master degree in Veterinary medicine at Ghent University she undertook several voluntary externships, including international externships in the United Kingdom, France, Ireland and the United States. Babette is mostly interested in orthopedics and sports medicine. In her free time she enjoys her horse, Figaro, and her dog, Jack. She also loves being outdoors, running and spending time with family and friends. 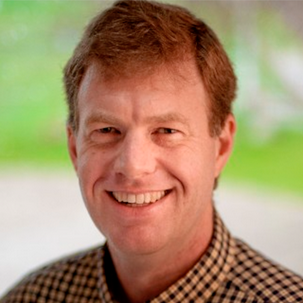 A Colorado native, Ky serves as Chief Operating Officer to the Alamo Pintado team. He holds an equine science degree from Colorado State University, an MBA from Louisiana State University, and a law degree from Southern University Law Center. Ky began his career in the veterinary industry with the American Association of Equine Practitioners followed by an appointment with the Equine Health Studies Program at the LSU School of Veterinary Medicine. Prior to joining the team at Alamo Pintado, he oversaw Texas based veterinary practice management firm, Inova Partners, working with equine veterinary practices nationwide to help them achieve their business goals. He and his wife Victoria, along with their sons Beck and Jett, now make their home in the Santa Ynez Valley.